Capital Letters, Mystic Foundation, Jean McLean, Noiseshaper, Dubmatix and more. 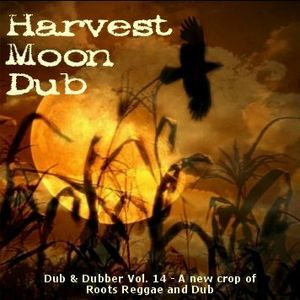 This show was 47th in the global dub chart and 67th in the global reggae chart. The good people of www.bristolarchiverecords.com got me going on this one with releases from Rhythmites, Capital Letters, Mystic Foundation and Jean McLean and then, of course, I rummaged thru the crates until the show took form, including solid selections from Noiseshaper, Dubmatix, St Germain, Gaudi, Joe Dukie and Delroy Wilson, among others. The Harvest Moon is the full Moon that occurs closest to the autumnal equinox; it can occur in either September or October. This is when crops such as corn, pumpkins, squash, and wild rice are ready for gathering. My very first record crates were vegetable crates, so it seemed reasonable to name this full moon set in honor of nature&apos;s bounty. Quality dub! Nice mix. Thanks! Another great mix from MmeFLY, the Empress of Dub, a.k.a. "White Rasta". I love what you did with this. I could feel my hair beginning to form dreads as I listened...talk about the power of Jah!! !